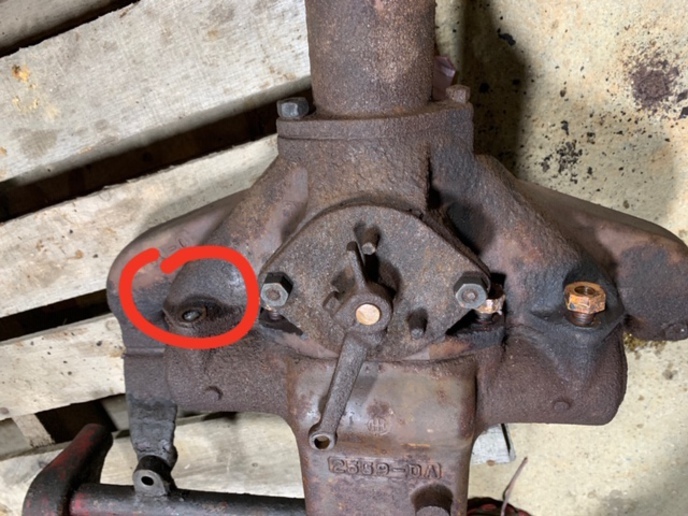 How hard is it to get an original exhaust manifold apart on a '35 F20 without cracking it? I broke off a stud and would like to replace it. See the pictures. I am only concerned since its the dual fuel manifold and not replaceable. I use a local engineer, who has a Sparkerator, which uses a sacrificial piece of copper to spark out whatever you want to remove. Whatever size and shape the copper, that is what the machine sparks out. Then you can remove the remains of the thread with long-nosed pliers. There is zero risk of damaging the cast iron, unless you drop it. I have had various tractor and IHC mower parts worked on this fashion, as nuts, bolts and studs are cheap and the cast iron parts are not. 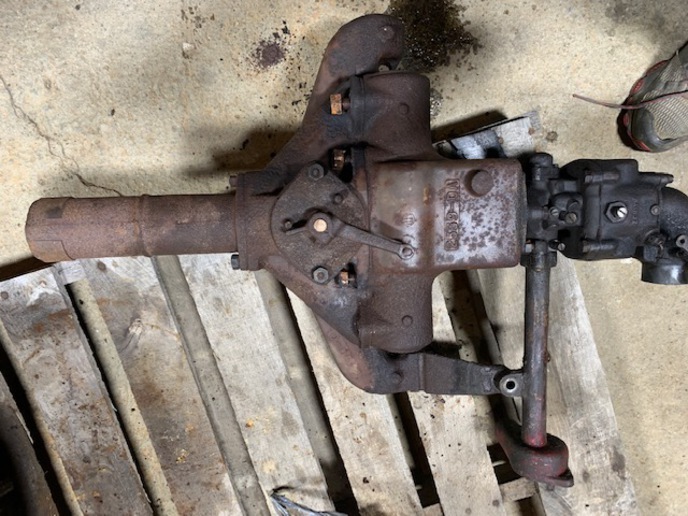 you will be pulling manifolds apart and drilling and tapping holes. or a machine shop will. You might try to replace the stud without disassembling the manifold. Weld a nut onto the top of the broken stud. The weld won't stick to the cast manifold. The heat from welding might allow the stud to come loose. Carefully work the nut back and forth, and the stud should come out. Run a tap into the hole, to clean out the threads. a better weld. Then I weld the nut to the washer. Only thing is, it has to work after that because if it doesn't you can make the stud hard to drill.